Home | Llwyncelyn Tourist Information and pictures of Llwyncelyn, Ceredigion, Wales. Llwyncelyn is a village on the A487 between Aberaeron and Llanarth in the county of Ceredigion, Wales. 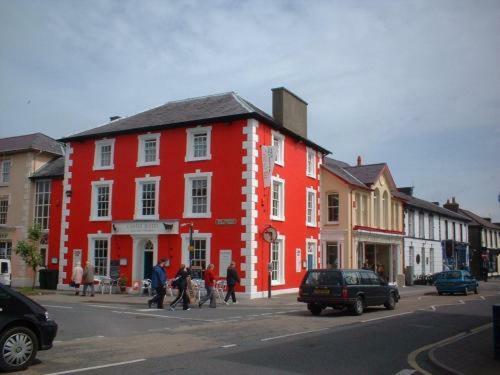 The village stands one mile from the coastline of Cardigan Bay and is close to the All Wales Coastal Path. The village has a petrol station / general store / Post Office. Llwyncelyn Independent Chapel was built in 1855 in the Simple Round-Headed style. Llwyncelyn Chapel is a Grade 2 listed building with a well-preserved lateral-fronted chapel with box-pews and simple interior carpentry. The village houses a memorial hall, which was built to commemorate the men of the area who fell during both World Wars. You may make an instant secure hotel or cottage reservation close to Llwyncelyn. Hotel and cottage availability and letting rates are confirmed online prior to booking. Simply click through to the accommodation page, choose a suitable property, check availability, including dates of stay, to confirm the exact room rate and reserve the accommodation.